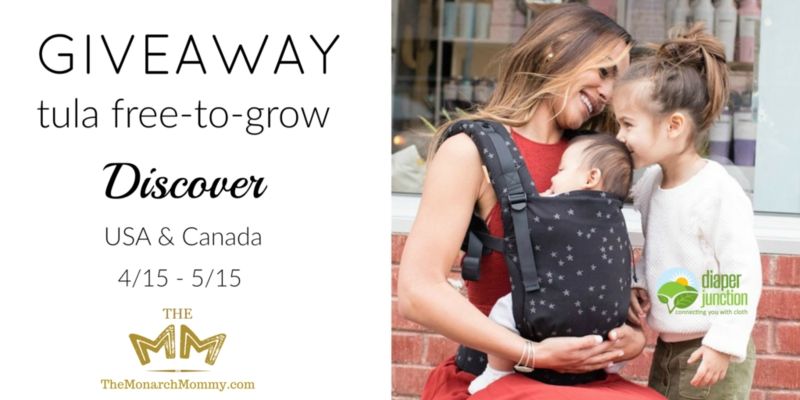 Have you heard about the all new Tula Free-To-Grow baby carrier? This latest creation from Tula can be used from birth (7lbs) without an infant insert and it grows with your baby. That’s a pretty big deal! Read on to see how you can win one of these fantastic new Free-To-Grow Tulas in the lovely Discover print! Babywearing is a great way to keep baby close and happy. Newborn babies enjoy being held close and continue to need your comfort and warmth all the way through childhood. Tula’s new free-to-grow baby carrier has three different width settings so it can literally grow with your baby. With settings that adjust from 7-45 pounds, this carrier will last from birth through toddler-hood and beyond. I’m excited to offer you this giveaway, in collaboration with amazing bloggers and Diaper Junction, for a Tula free-to-grow in Discover. The Tula Free-To-Grow baby carrier launched April 2017. These carriers are highly sought after and creating a lot of excitement. The design is thoughtful and has made a great impression on the babywearing community. The carrier is adjusts from birth through toddler-hood and beyond by literally growing with baby. Currently available in 4 prints, it’s carried by Diaper Junction where you can also see a video. Best feature? The Free-To-Grow carrier does not require an infant insert for smaller babies and simply adjusts to meet baby’s needs. How? The carrier adjusts with three width settings and two height settings to create a personalized fit for each baby. The carrier begins in the newborn setting and as baby grows, the carrier extends out to the mid-setting and all the way to its largest capacity for larger babies and toddlers. For the giveaway! This event is open to legal residents 18+ of USA and Canada. Winner will be drawn, entries verified and contacted via e-mail. If no response is given to the e-mail within 48 hours, a new winner will be drawn. Good luck! I have seen the Tula in one of the small business green stores locally and fell in love with this pattern! 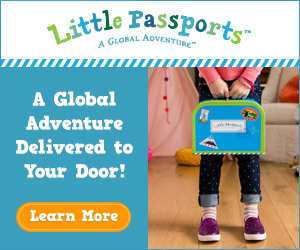 I own a Lillebaby, but would LOVE to try the Tula, especially after all of the rave reviews I have seen. My LO loves to be carried, and often the only way I can get things done is to carry her. I would love to try the free to grow carrier! I’ve heard great things, but I’ve never tried one before! I think this is an awesome idea for a carrier! Thank you for the details!! This would be greT for a toddler and new baby! This sounds like an amazing baby carrier! Of course this carrier is released AFTER I buy my first Tula. WAAA!! This carrier seems perfect. I carried my 2 kids back in the day, & I wish I could carry my grandson but my spine says no. The Tula Free-To-Grow sounds like a great carrier. I’m 66 and carried all of mine (7) from being babies in a baby carrier, however it was nowhere near as good as they are today.